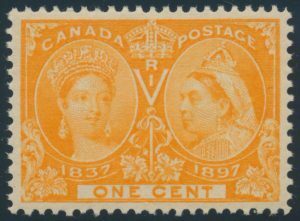 Lot 169 Canada #51i 1897 1c yellow orange Jubilee, mint never hinged, fresh and extremely fine. Unitrade CV$120, sold for C$95.00 plus 15% buyer’s premium. 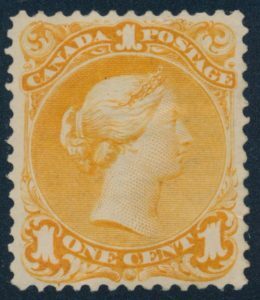 Lot 42 Canada #23 1868 1c yellow orange Large Queen, mint with full (disturbed) original gum, hinged. 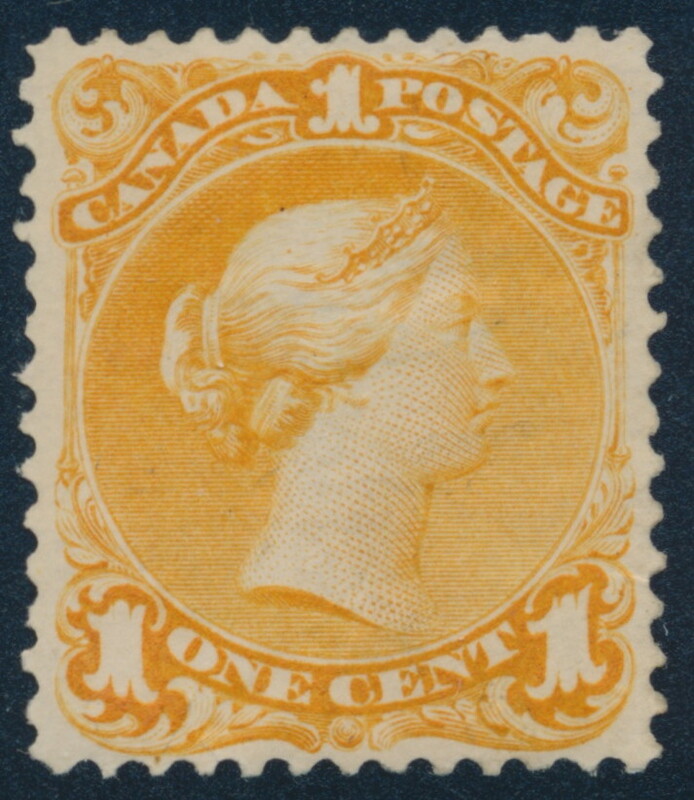 A very nicely centered stamp with bright colour, very fine. 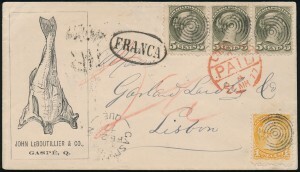 Accompanied by a 2011 Greene Foundation certificate. Unitrade CV C$4,000. 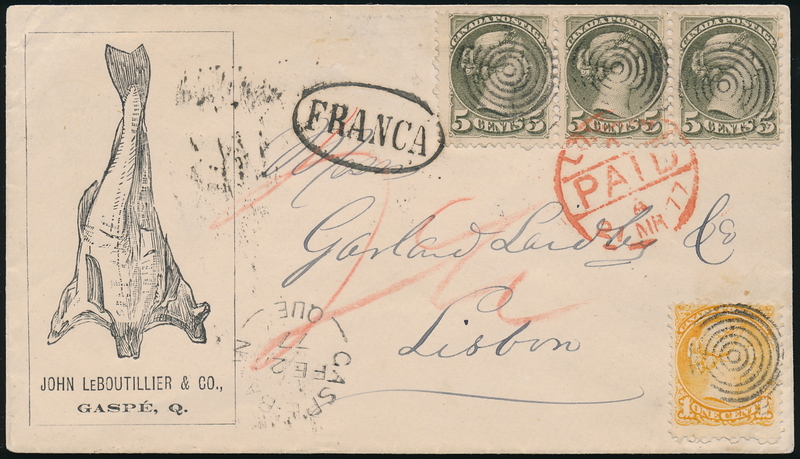 This much-heralded cover has always been considered to be one of the most important and desirable Small Queen covers in existence due to the combination of a rare destination and rate, the rarity of illustrated pre-UPU covers, and the overall quality and attractiveness of the stamps and envelope. One of the highlights of the Cantor collection and a rare opportunity for a collector to become the next custodian of this fantastic cover which has graced several important Small Queen collections. Provenance: Charles de Volpi (1966), “November” collection (1994), S.J. Menich (2000). 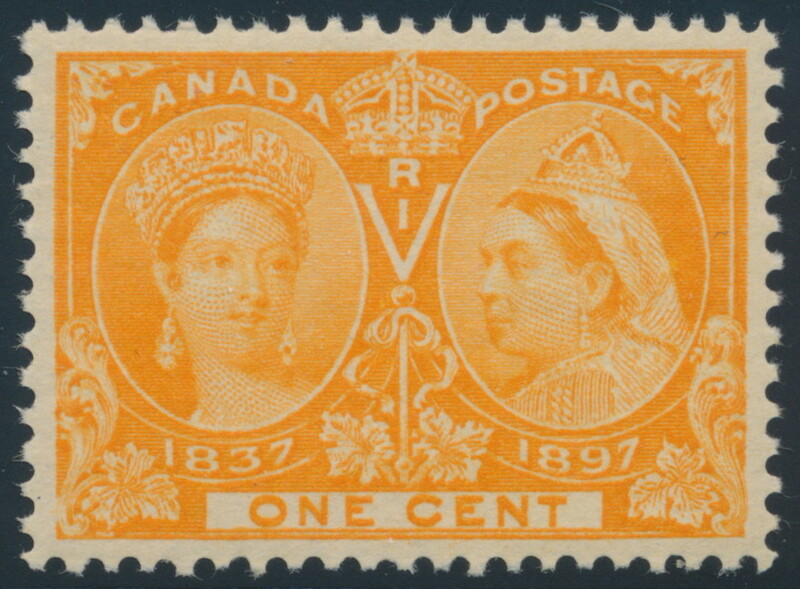 Illustrated in: Canada’s Small Queen Era 1870-1897 by George Arfken, p.321. Estimate $6,000, sold for $8,500 plus buyer’s premium.